The FAP42-RR Retro Ring Kit for FAP42T(C) from Atlas Sound is a special kit that allows you to fit the FAP42T(C) speaker into a typical 8" loudspeaker cutout. 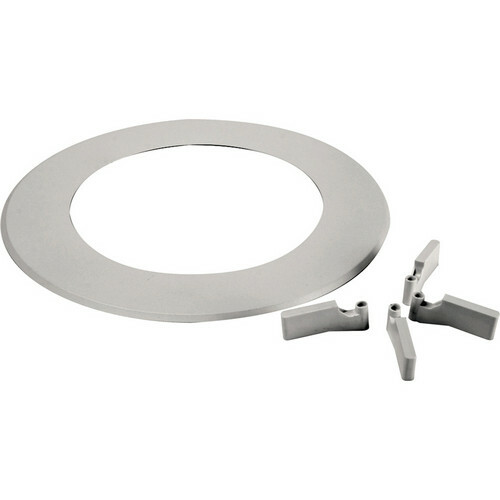 The kit includes a 13.75" oversized trim ring and 4 "Dog Leg" extensions. 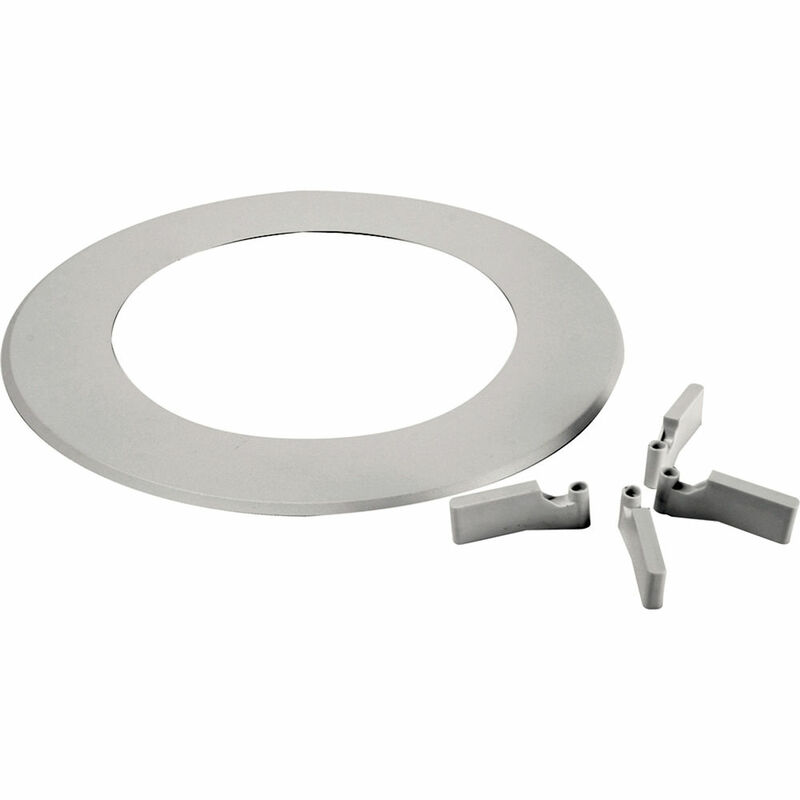 The C-Ring/V-Rail assembly that comes with the FAP42T(C) speaker is mounted atop a ceiling's mineral tile, with the FAP42T(C) mounted through the center hole of the Retro Ring. The extended dog legs are then tightened to bring the entire assembly flush to the ceiling.